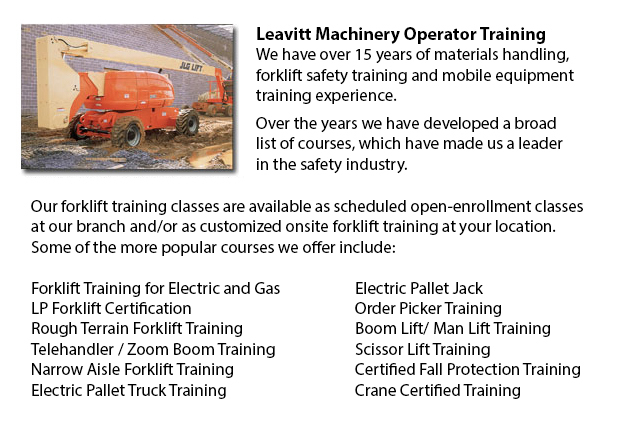 Manlift Safety Training Grande Prairie - It is essential for skilled Manlift operators to be aware of the associated dangers that come with specific types of scissor lifts. They must be able to operate the scissor lift in a way that protects not only their own safety but the safety of individuals around them in the workplace. The course offer its participants in-depth study in the following areas: Operator Evaluation on the equipment to be used, Safe Utilization of Scissor Lifts and Manlifts, Operator Qualifications and Legislated Requirements, Safety Rules, The Requirements for Fall Protection Equipment, Individuals, Machinery and Environment, Hazards Connected with the utilization of Scissor Lifts and Manlifts, Inspection of Fall Arrest Equipment and Pre-use Check of the Machinery, among other things. There are numerous types of Manlifts offered, even though they all share the same fundamental purpose, lifting equipment and workers to carry out above-ground work. Man Lifts are commonly made use of in retail stores, warehouses, manufacturing plants, construction, for utility work and in any application where the work should be completed in a hard-to-reach location. There are 3 main types of Manlifts available including Boom Lifts, Personnel Lifts and Scissor Lifts. The Personnel lifts are vertical travel buckets intended for single-user situations. They are the most economical alternative for single-user operations that need just vertical travel. Scissor Lifts are flat platform machinery which travel straight upward and downward. These machinery are best used for moving large amounts of people or materials up and down. Scissor lifts offer more lifting capacity and bigger workspaces compared to bucket lifts. Boom Lifts are buckets situated at the end of jointed or extendable arms. These machines are perfect if you have to reach up and over obstacles, since nearly all other machines only move straight up and down. Boom lifts come in two main varieties, the telescopic boom and the articulating boom lifts. The telescopic boom type is commonly called a stick boom or a straight boom. This kind has long and extendable arms that could reach up to 120' at basically whatever angle. These booms are normally used in the construction industry since their long reach enables personnel to easily gain access to the upper stories of buildings. These are the best alternative if the objective is getting the longest and highest reach. The articulating boom has bendable arms that are capable of reaching around and over obstacles. These kinds of booms are normally referred to as knuckle booms and could position the bucket into the exact location that it needs to be. Articulating booms are common in the utility industry where working near obstacles such as power lines and trees make positioning hard. These booms are likewise common place in plant maintenance where they allow employees to reach over immovable machines. The scissor lift is not like boom lifts and just travel vertically. Generally, these machines will provide larger lifting capacities and larger platforms. The platforms allow for more workers and materials and allow access to larger areas so that the equipment does not need to be repositioned as often. A kind of scissor lifts have a platform extension which provides a horizontal reach out of the top of the lift of 4' to 6'. Platform extensions provide a huge amount of flexibility even if overall scissor lifts are very limited compared to a boom lift.